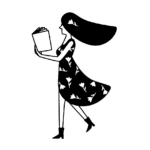 Here's one thing you might not have noticed about Mindy Lahiri on the "The Mindy Project"
The Mindy Project is one of the best shows on television right now, and you can quote me on that. Moving the sitcom from Fox to Hulu was a complete blessing in disguise, because everything about it is so much funnier, punchier, and has also made me cry, twice, so far this season. A lot of that praise falls on the shoulders of its star-showrunner-beautiful-land-mermaid Mindy Kaling, who plays the title character of Mindy Lahiri, a lady doctor who mostly has her life together and then watches it fall apart in the most spectacular ways. But there’s one BIG THING about Mindy that needs to be addressed: she is apparently getting younger, like, Benjamin Button style. When the first show premiered, Mindy says that she is a 31-year-old woman. 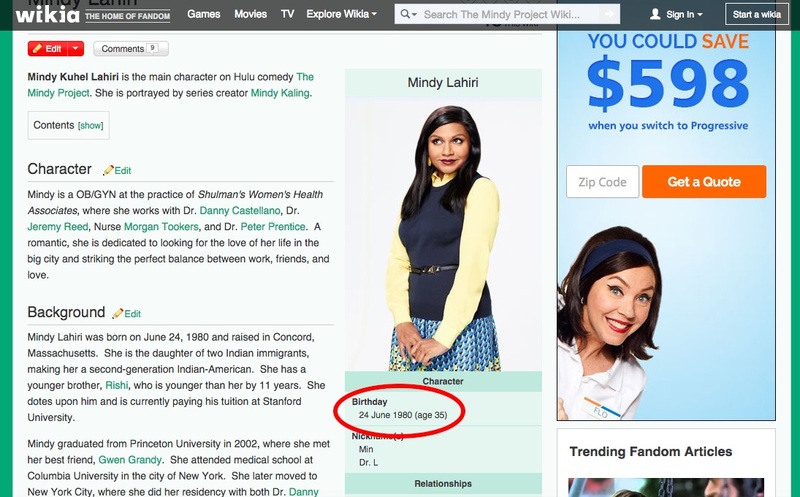 The Mindy Project wiki states that she was born in 1980, which makes sense, since the show premiered in 2011. Currently, the wiki lists her as being 35- years-old. However, in episode 17 of Season 1, Mindy is mistaken for someone who’s 28-years-old, and goes with it. In the context of the discussion, it’s clearly a joke, since Mindy really likes that she’s been mistaken for someone three years younger. Joke, ha ha…or is it? Recently, her age seems to have dropped even further, and not as a joke, but for real. 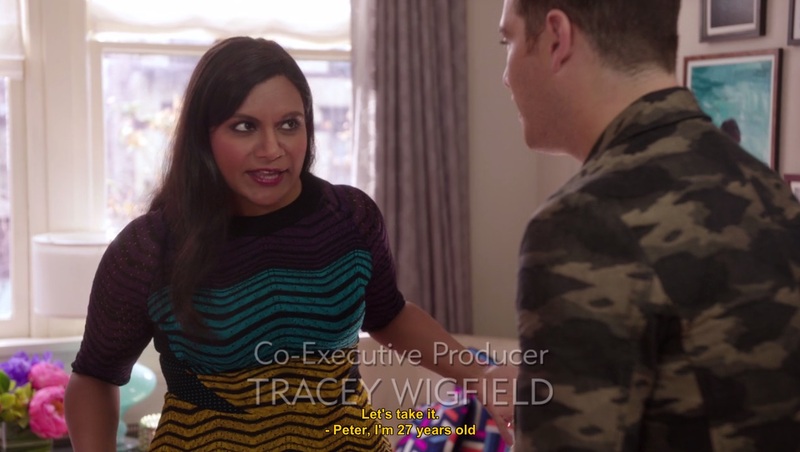 In Season 4 Episode 10, Mindy tells Peter that she’s 27. And in this week’s episode, Episode 15, Mindy states that she’s 26. She’s already supposedly and allegedly, hit her 30th birthday. For one, it could be a clear continuity error, a slight overlook by the writing staff who themselves believe the beautiful Kaling to completely transcend age so it doesn’t matter if she’s 26, 36, or 96. But remember, Mindy is an OB/GYN. She’s a certified doctor, which means she’s gone through college and medical school, and has already been practicing for TWO YEARS when the pilot opens. 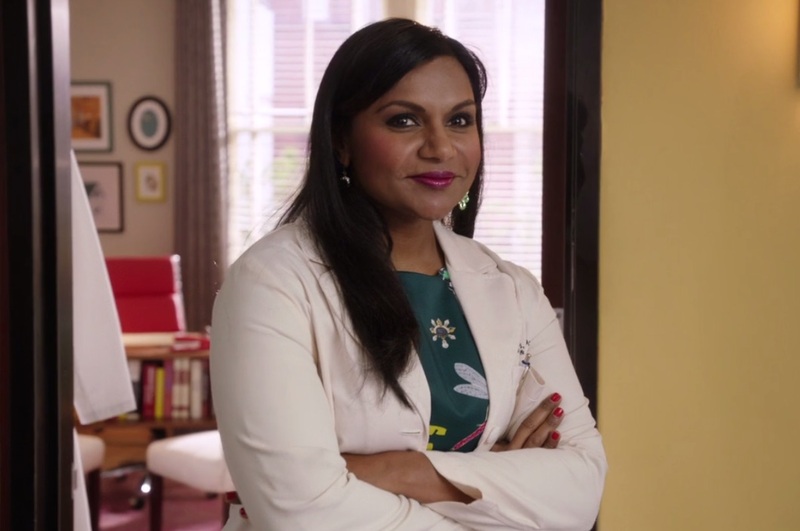 Unless Mindy Lahiri is some prodigy (which in some ways, she is), there’s no conceivable way she’s a doctor at 26. So what’s really going on? Maybe her blatant age regression is a joke. A really good, long-runing joke designed to bring attention to the fact that Hollywood – heck, let alone everything else in life — seems to be getting so much younger with each passing year. Could the crew behind Mindy full on realize they’re switching up her age with each passing episode, a little jab to the agism running through Hollywood right now? If there’s anyone who could tackle that issue with a smile, and make us laugh in the process, it’s Mindy. Obviously, the show hasn’t made any sort of comment about this (because there’s still the possibility they don’t realize it’s happening). But it is. Beautiful and sometimes-wise Mindy has figured out how to reverse the clock. But is it a mistake, social commentary, or even something else completely? Stay tuned.